This example demonstrates the use of analog output (Pulse Width Modulation (PWM)) to fade an LED. PWM is a technique for getting an analog-like behavior from a digital output by switching it off and on very fast and with different ratio between on and off time. An LED connected to digital output pin 9 through a 220 ohm resistor. In this example two loops are executed one after the other to increase and then decrease the value of the output on pin 9. 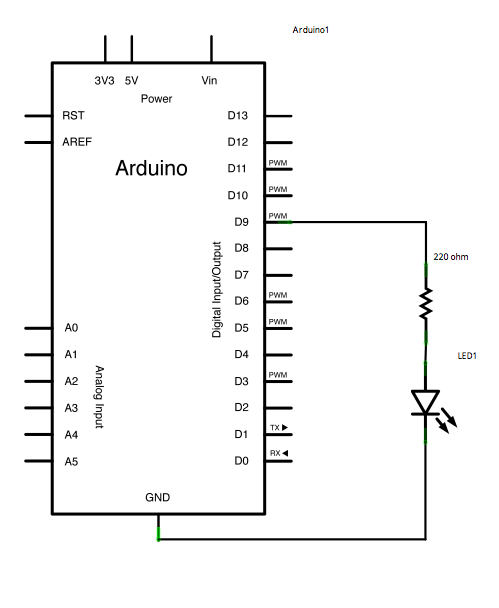 AnalogInOutSerial - Read an analog input pin, map the result, and then use that data to dim or brighten an LED. 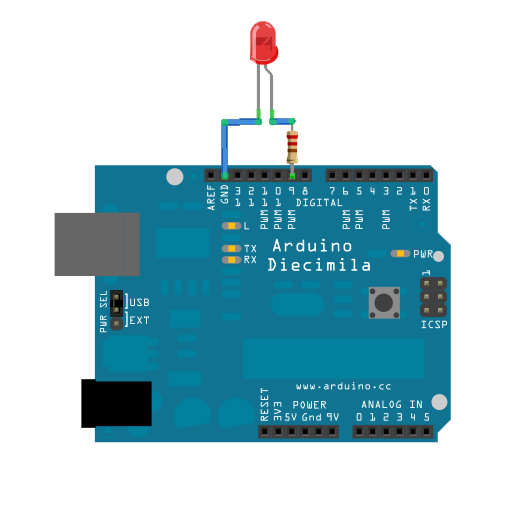 AnalogWriteMega - Fade 12 LEDs on and o¬ff, one by one, using an Arduino or Genuino Mega board. Calibration - Define a maximum and minimum for expected analog sensor values. Smoothing - Smooth multiple readings of an analog input.